Music Manumit: 2. Live Free (of Pollution) or Die! 2. Live Free (of Pollution) or Die! Happy Earth Day everyone! Below are notes about the items we discuss in the show, reasonably aligning with chronological order or discussion. *if you're learning, no worries! The mp3 issue is complicated, but here's something to get you started. This is an odd show as Nick and Doug do not discuss entertainment law, "intellectual property" or some aspect of law that might affect simply musicians on tour. Instead, we discuss what is known as "real property" law and do some public soul-searching about what is really important in this world. If that sounds like it would interest you or if you simply love the earth and want to hear what we have to say about it, well, you are our target audience. We'd like to apologize for the audio quality. We had some technical difficulties both in recording and in editing. We decided getting the show out on Earth Day was more important than a massive cleanup effort. After all, all that extra computing power requires energy! We'd also like to apologize for the US-centric view of the show, but of course laws change from country to country. We do plan on doing some shows on international law. If that subject interests you, let us know and maybe we'll move it up in the schedule! Brief mention of the background of the show. 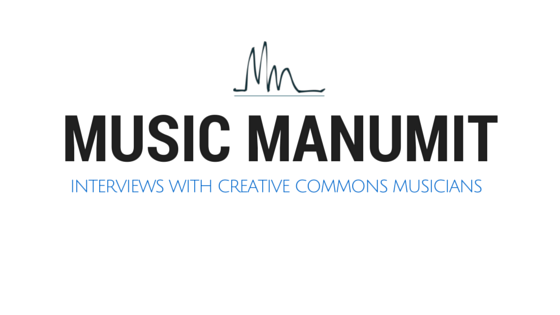 1) Music Manumit started when Tom and I wanted to do a Creative Commons live music event back in 2009. 2) I thought we might be able to do that this year with Earth Day with various artists such as David Rovics, Emcee Lynx and Louis Lingg and the Bombs. 3) Then it was just going to be us and the Cyberunions guys having an interdisciplinary discussion. Let us know if you want us to do something more next year! Zoning laws had been aimed at keeping uses separate, but mixed use development is more sustainable within limits. “Design based codes” aimed at implementing the ideals of mixed use and sustainable urbanism: streets that facilitate pedestrians, etc. The myopia of the early environmental movement, eg the work of Teddy Roosevelt is that it is more concerned with wilderness preservation than with the preservation of environments with dense human populations. It was a hobby of the privileged rather than a social justice issue of the disaffected. Urban living is more sustainable because energy use is much less when resources, and people are in close proximity: the fewer people have to drive to get from home to work to their shopping, the more efficiently we live. Think of how Bradley and Karen have the exchange once a show “People shouldn’t drive.” “Most people in this country have to drive”. Sustainable urbanism aims to give more people more transportation options, so not as many people have to drive. More important than efficient transportation is efficient urban design - live closer to where you work and shop, in a place with greater density, and you have more options to get between those places: walk, bike, transit are not viable options in sprawling suburbia. So the irony is that urban living is both more sustainable and exposes you to more toxins. It is this mentality, which is why (thankfully) the world stepped up with us as Americans and did not let media corporations impose SOPA upon us. Though Nick and Doug are not versed in international law, we hope we can foster this sense of community on our site. Early on Nick questions the legitimacy of Doug lumping all of this stuff together, so instead of discussing the substance of the issues, Doug tells about his personal struggle to find meaning in software freedom. Doug’s answer is that he can help empower climate scientists and activists. If you want more info on religious freedom, drug laws, corporate power and how it all relates to environmentalism, check out these links. If you care about the environment, how can you promote drug laws? And, in case the title, does not make sense, Doug is currently studying at the University of New Hampshire. New Hampshire's state motto is "Live Free or Die"